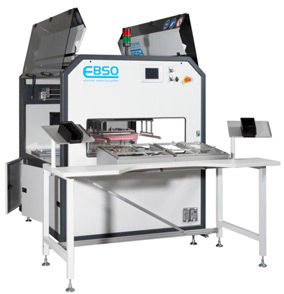 The Ebso SPA 300 NC is an automatic selective soldering system with manual loading. Solder bath and solder pump is covered with nitrogen. Designed for automatic soldering of connectors, transformers, coils and other conventional components. Especially for applications which are not suitable for a wave soldering process or to automize hand soldering.